The comeback of dry shampoo has been going on for a few years and the range of products has grown considerably. Are too many choices confusing you? So dry shampoo, is it the same as texturizing spray? Is it better to use a powder or a spray format? 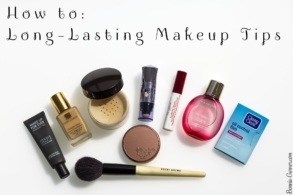 Do you have to use a special technique for all these products? 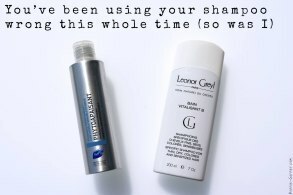 It’s time for a little update on the dry shampoo and other members in this range, don’t you think? I’m a big fan of all these products because my hair is very flat and fine and also I workout almost daily. So I usually need a little help to refresh my hair, but also to give it volume and to do hairstyles and volumised up-dos! 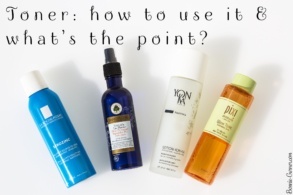 But you don’t use a dry shampoo or a texturizing spray the same way or for the same reasons. Let’s dig into it, shall we? 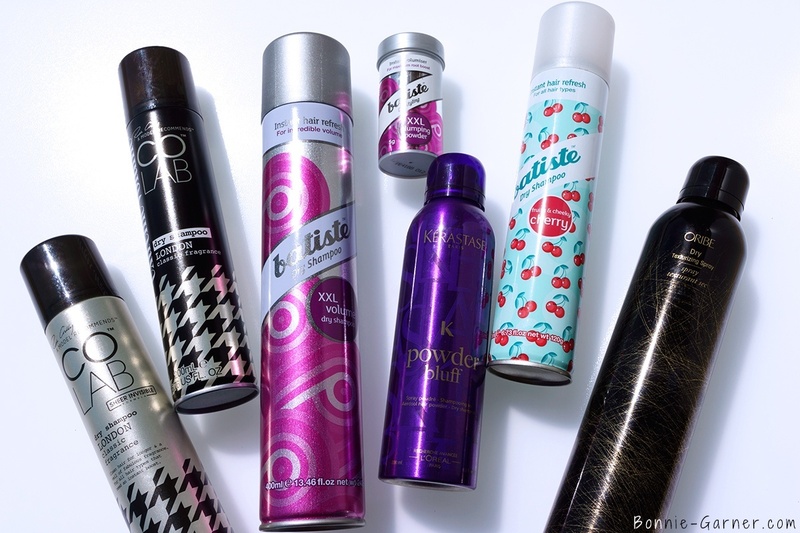 Dry shampoo is a your BFF if you tend to have greasy hair! It’s a hair product with a base of absorbent powders (from starch or clay) used on dry hair (without water) and it’s usually used between 2 shampoos. 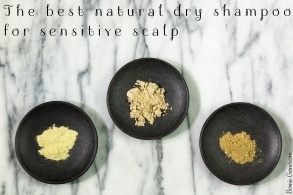 It contains no sulfates, no detergents, which makes it more gentle to the scalp. It’s really convenient when you have no chance of washing your hair for several days (camping, treck, festival in Ireland…) (yes, I went to a muddy festival once) or for those who have bangs that become greasy very quickly, after a workout… Or maybe just one of those very lazy days, you know what I’m talking about. Those days you didn’t hear your alarm and there is just no time left for the whole hair routine! Dry shampoos exist in 2 different types: a spray or a powder to apply directly to the scalp. Some are transparent, others are whiter and some are tinted (great for hiding the roots between 2 colors!). It can have a slightly mat finish, but if you want your hair to shine again, you just need to apply a day cream for hair (such as Phyto for example) to polish and soften them. You’re not supposed to use dry shampoo too often: it doesn’t replace a real shampoo that cleans and removes residue and excess sebum. And I usually use a real clarifying shampoo once a week to clean the build-up and oxygenate the scalp. First step, start by brushing your hair to remove tangles. It also allows to remove residues and dust you may have in your hair. Then, depending on the product, you distribute or vaporize some dry shampoo on your hair roots, usually on the most oily areas. If you’re using a spray, don’t forget to shake well the bottle at first and try to spray the product from a good distance (20-30 cm) and it’s better to use small short sprays of the product to avoid to putting too much product and irritating your scalp. If you put too much product, your scalp may become itchy after a while and it can provoke dandruff (yummy!). Then, after a little massage to the roots, it’s advised to let the product sit for 2 to 10 minutes (depending on the greasiness of your hair) allowing time for the product to absorb the excess oil. For an optimal effect, you can finish off by massaging your scalp with your fingertips or better, you can rub it gently with a towel. 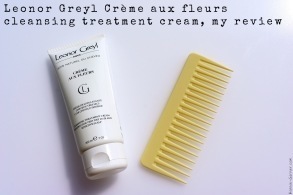 This allows the powder to be well distributed all over the scalp. And the towel will help remove any excess dry shampoo. Finally, finish by brushing through your hair to clear the last residues of dust and product. 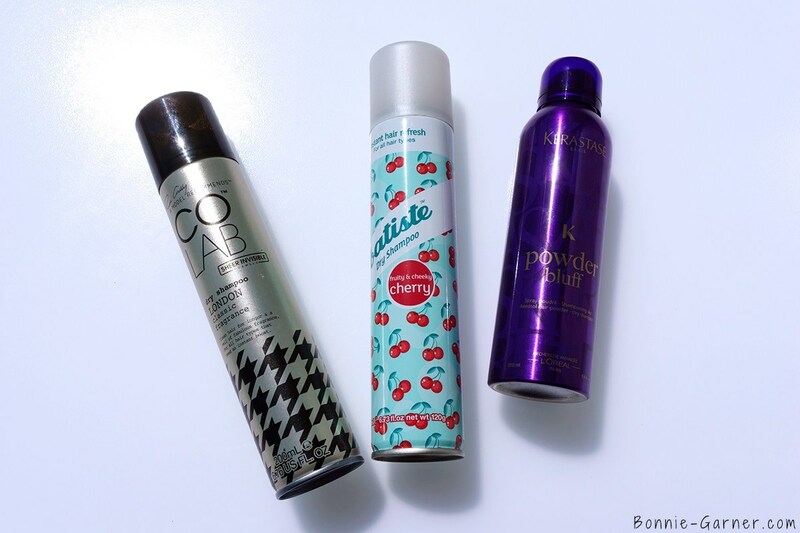 I’ve been a fan of Batiste dry shampoos for a while (at least 2 years) because I find they’re really efficient and I love that there is a lot of choice: different flavors (I love that cherry one), others are tinted according to the color of hair, some are glittery… In short, everyone can find their perfect dry shampoo! The texture is not the finest among dry shampoos I’ve tried. You can feel it a little on the scalp and it’s not really transparent. But it does the job and I think they’re particularly absorbent. 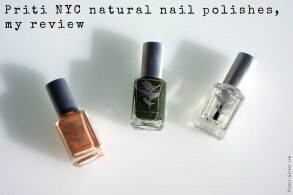 They are usually available in drugstores like Boots and online for $7 to $9. 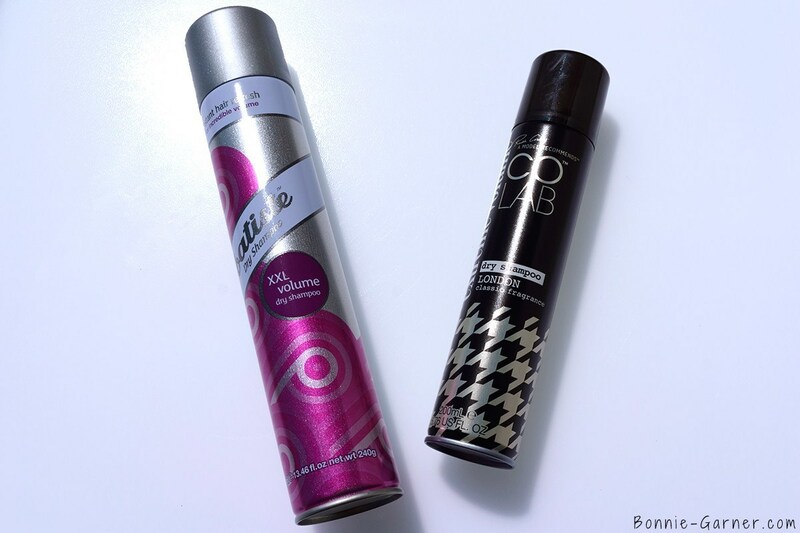 A big crush on this dry shampoo! COLAB is a British dry shampoo brand owned (among others) by the model/blogger Ruth Crilly from the blog A Model Recommends. Initially, I was very suspicious because all the other bloggers (friends with Ruth) were raving about it and that is typically the kind of thing that stops me. This is a super fine dry shampoo and it’s almost transparent, you hardly feel it on your scalp and it’s decently absorbent. There are 5 different perfumes, each bearing the name of a city: London, Paris, New York, Tokyo and Rio. So I chose London, a perfume that smells like regular hair styling products, a very classic fragrance and honestly, I love it!!! I wanted to try a Kérastase dry shampoo, because according to the reviews I read, it was supposed to be completely imperceptible (it was before discovering the COLAB one). So actually, it’s completely transparent and very fine but it’s also totally ineffective! It takes a ton to absorb the sebum excess and after a while, it becomes very noticeable on the hair and most importantly, the can is empty very quickly! And honestly, for a price ticket of 37$, it kind of hurts! My tip on this one: keep your money! In the UK and especially the US, these kind of products are very famous. But in the rest of the world, it’s more commun to use sea salt sprays on wet hair to add some waves and volume to your hair. The texturizing powder or spray are also styling hair products but you apply them on dry hair (on the roots or the lengths) and they thicken the hair for a “big hair” effect, very Brigitte Bardot style. You can apply them the 1st day after the shampoo, on blow-dried hair, to give a cool “day after shampoo” effect. 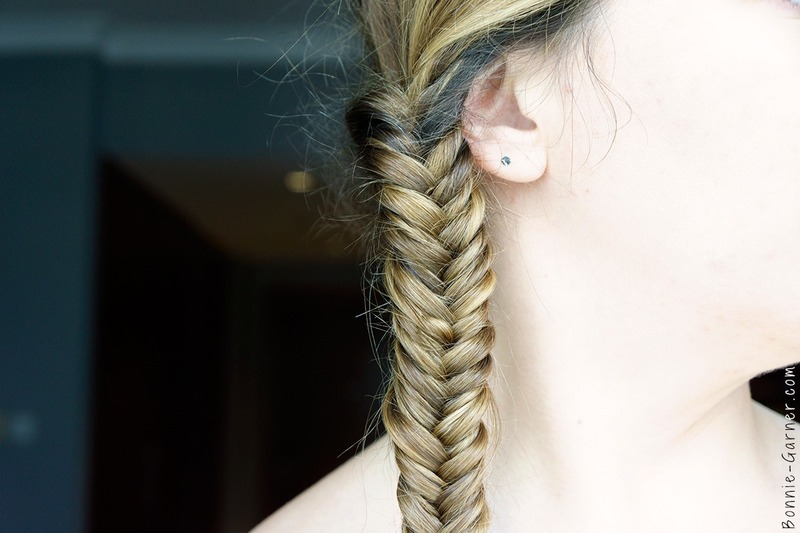 It’s also perfect if you need to style your hair because it will add some grip. 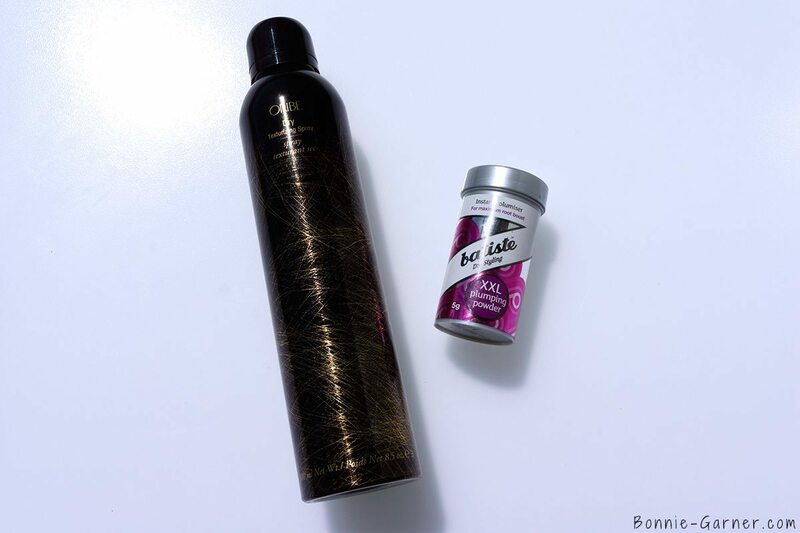 The formula is like a mix between a hair spray (it’s a little sticky, to really fix and lift the hair) and a powder spray, but it hasn’t the thickness of a dry shampoo. It’s not as absorbent as a dry shampoo. 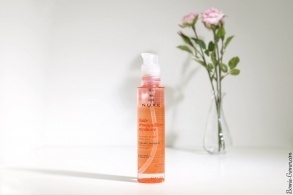 It is more like a styling product than a cleansing product. The claim of these products is to texturize the hair. 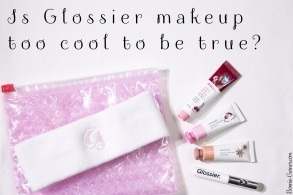 These are completely transparent products in your hair, no risk of looking like Marie-Antoinette! 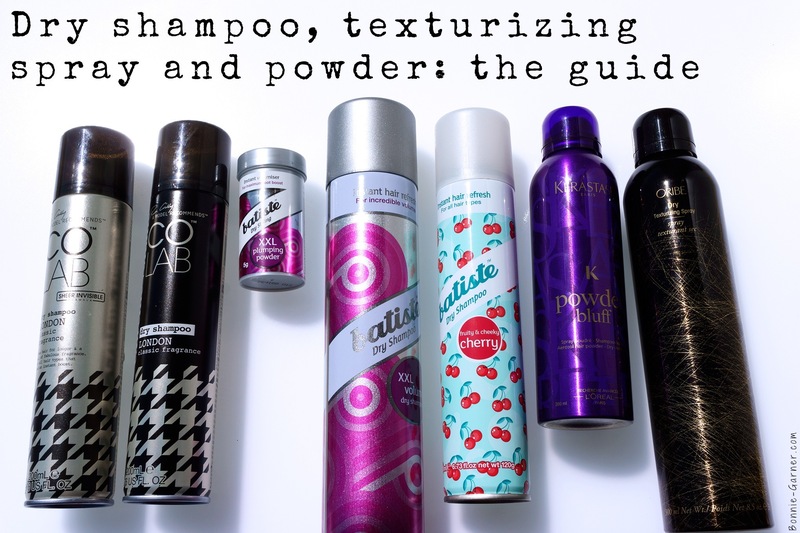 Texturizing styling hair products exist in 2 forms: powder or spray. How do I use Texturizing Powder / Spray? You can sprinkle this very fine powder with a “salt shaker” type packaging, directly on the scalp for an immediate plumping effect or on the lengths. The powder becomes transparent and leaves the hair thickened and with a grip effect. This is my favorite product for my hairstyles with braids. 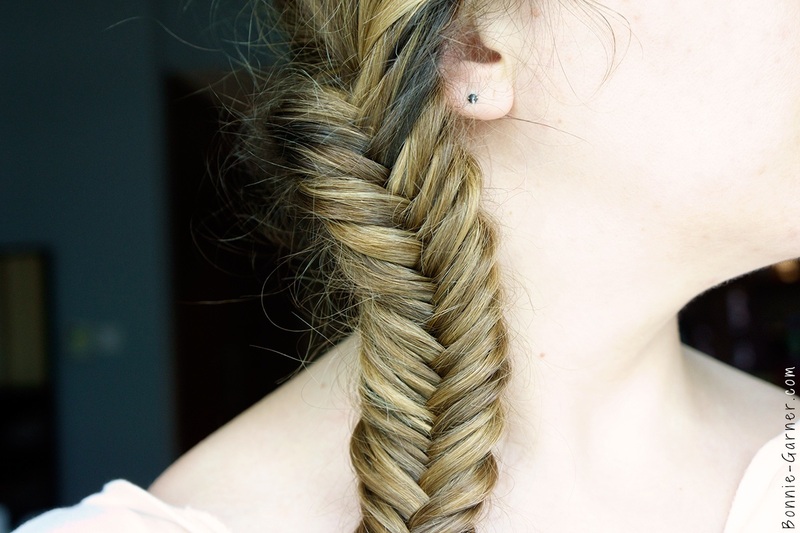 I apply the powder and it’s magic, my braids are twice as thick! (Check out the images below). You use it almost like you would with dry shampoo. Apply the product in small short bursts, you vaporize it on the roots or the lengths and you can crunch your hair for a very wild effect. It’s the ideal product to give a good lift to very flat hair, even just after you’ve washed your hair (and of course, on the second day). I already did a review on it in my post “Big hair don’t care” and I still love this precious product ($42 for a bottle ouch). 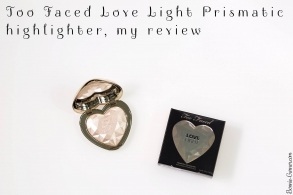 It’s completely transparent and really gives a very volumizing effect which is quite impressive. A little goes a long way and I apply it mainly on my roots. The sticky hair spray feeling is still quite present, but that is what secures this “lift” effect on the roots. 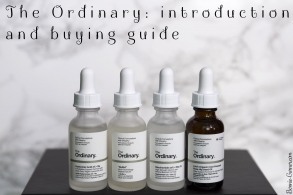 It’s available in Space NK. Here, in Dubai, it is also sold at Bloomingdales. I love this magic powder! It helps to give body to the hair and also boosts the volume on the roots. You really don’t need much and it leaves no traces in the hair, as it becomes clear as soon as you’ve massaged it with your fingertips. I love applying it on my lengths before styling to make all kinds of fluffy buns or even better directly on my braids for a messy and very big result! On the left, a normal braid, and on the right, the same braid “plumped” with Batiste powder (I have stretched it a little on the sides but the powder gives it the oomph without adding any gaps in the braid). And as I apply it more on my lengths, it can easily be removed in the evening by brushing it through and it leaves no residue in the hair. The Batiste XXL Plumpling Powder is available at Boots or other drugstores for less than $10. 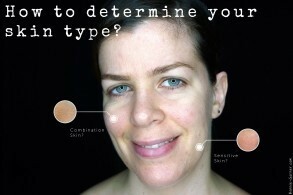 It’s a mix between the above 2 types of products that I just talked about. A product which is able to absorb the excess oil but also to have this texturizing action for a lighter and volumise hair. It also allows to do great up-dos which will last. So basically all the actions together! Indeed, it’s quite difficult to brush the excess product out when your brush gets glued to your hair! In fact, it’s a bit like having teased hair, you know what I’m talking about? It’s almost like your roots are tangled. Anyway, it’s still a product that I don’t want to use on freshly washed hair, rather the second or third day after the shampoo. How do I use Volumizing Dry Shampoo? I think this product is not really well “categorized”. It’s classified as a dry shampoo with a volume effect but I think it has exactly the same effect as a texturizing spray. It’s not super absorbent so it’s not ideal if you want to use it for your greasy hair. 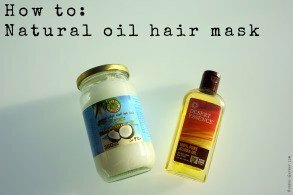 Let’s say that it will refresh slightly dirty hair but it’ll do nothing for you if you have super oily hair! However, the volume effect is pretty decent and it is great to use on the roots. It’s rather clear, so no need to brush out the excess and the feeling on the scalp is not too thick (at least, far less than other Batiste dry shampoos). 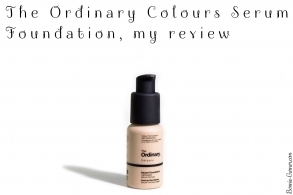 For me, it’s a good dupe of the expensive Oribe and so that’s good news! Batiste Volume XXL is available in many drugstores or for example on Asos.com for $7 to $8. As much as I love the classic COLAB dry shampoo, the Extreme Volume version didn’t really convince me. It’s super thick, it leaves a lot of white residue on your hair even if you’re careful when you use it. So yes, it’s absorbing but the sensation on the scalp is really not pleasant at all. You can feel it much more than the classic version. The volume effect is decent but the feeling was so awful that I just wanted one thing after I had applied it: go wash my hair!!! 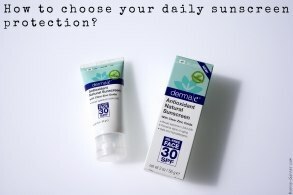 If you still want to give it a shot, it’s sold in London in the Superdrug stores and online on feelunique.com for $7. 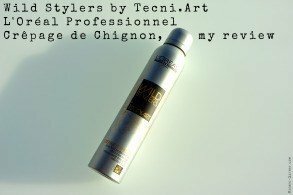 And you, are you a dry shampoo and other texturizing styling products lover? Which are your favorites? I always used to use the Batiste dry shampoo, but have recently tried Herbal Essence Naked dry shampoo, which I’ve found to be really good at degreasing my hair! and also the smell is gorgeous. It is one of the dry shampoos that is good if your are using it for refreshing your hair as it does make it soft, so not so good if you want to use it for the grip or texture of an up do :) Thank you for your advise on the Kerastase one!